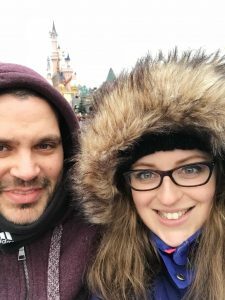 Our proposal story – one year on! 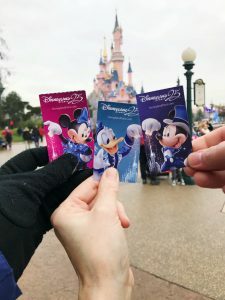 Last December we decided to take my mum to Disneyland Paris for their Christmas season and 25th anniversary celebrations. I am a huge Disney nerd, which I largely attribute to my lovely mum. We have taken many trips to Disneyland over the years, and have always loved curling up with a Disney classic and hot chocolate. It was a really important trip for me as my mum had been unwell and I wanted her to enjoy everything as much as possible. Maybe because I was so focussed on that I didn’t notice that Chris was acting a little odd – which is pretty obvious now I’m looking back. My favourite was when I apparently nearly discovered the ring in his wash bag when I forgot toothpaste – I’ve never seen someone so anxious about their wash bag! After our first full day in the Parks we secured our spot in front of the castle to watch the night time show. Shortly after it started, Chris nudged me and handed me something – a small version of the glass dome from Beauty & The Beast (my favourite) with the rose lit up. You know at fireworks displays when you get all sorts of light up things?! I thought it was something like that so I said “aw thank you!” And was about to turn back to the show. I had completely missed the engagement ring hanging from the ribbon (it was dark ok!) and apparently I nearly dropped it. Chris rescued it and asked in my ear if I would marry him. I’ll be honest here – I don’t really remember what happened next. I’m told there was a lot of squeaking, crying, hugging and saying “are you joking? 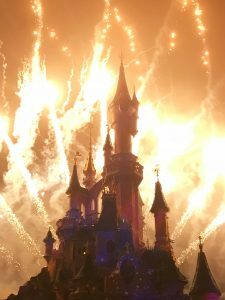 !” Thank you Disney for the loud show to cover it all up so no one around us knew a thing!! After the show, and more squeaking and crying (from my mum this time, who had absolutely no idea what had happened during the show) we went back to our hotel for celebratory cocktails and champagne. 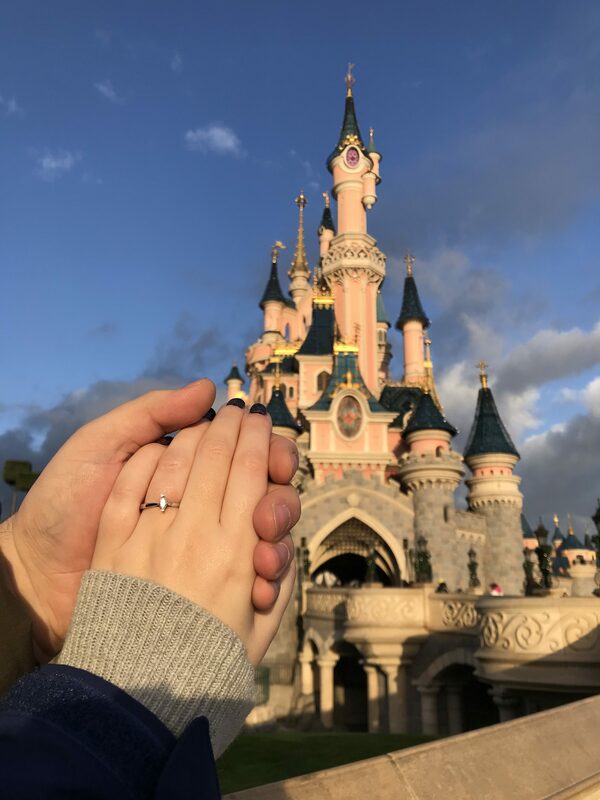 We had a few more days in the Parks before heading home so we got to stay in that happy newly engaged bubble for a while. I cannot believe it has been a year since this happened, and we are now less than 2 months from being husband and wife. It really does go so fast and my advice to any newly engaged couples is to enjoy that feeling before diving straight in to the wedding planning! Drink all the champagne, tell your story to anyone who asks, and enjoy all the excitement for you both. The award-winning Two Little Cats Bakery make beautiful, bold and colourful cakes in a range of unique and delicious flavours. Each cake is individually crafted and finished ensuring your creation both looks and tastes incredible. @weddingppodcast Yes! As a recent bride (2 months ago!) and a supplier to hundreds of brides and grooms 💕 would love to chat more!